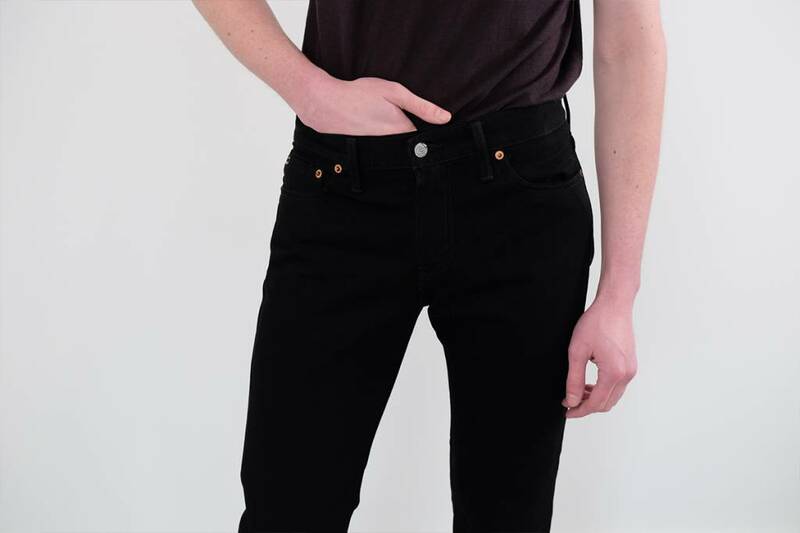 Comfotably slim, made in the U.S.A., with the name that started it all. 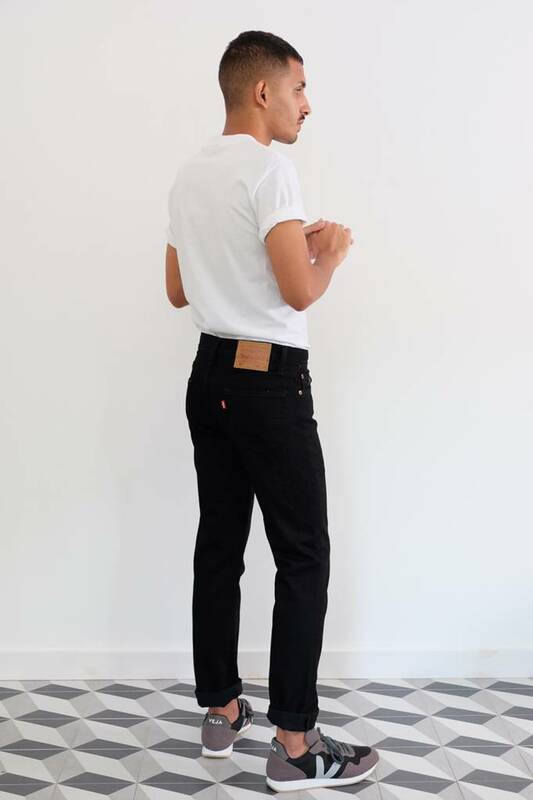 A modern slim fit denim with room to move, made in the U.S.A. of White Oak Cone Denim. 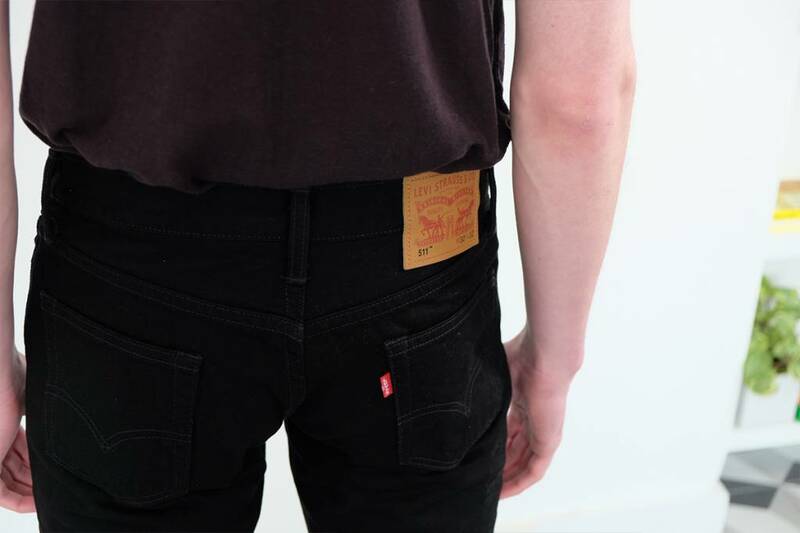 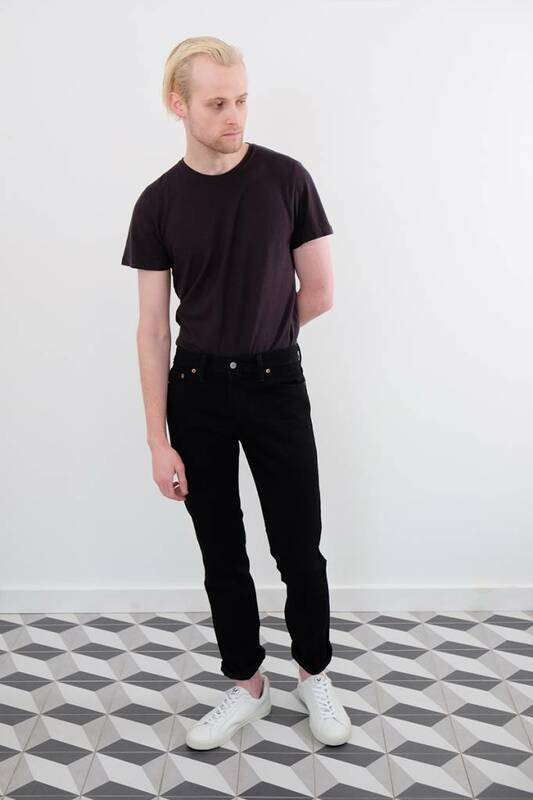 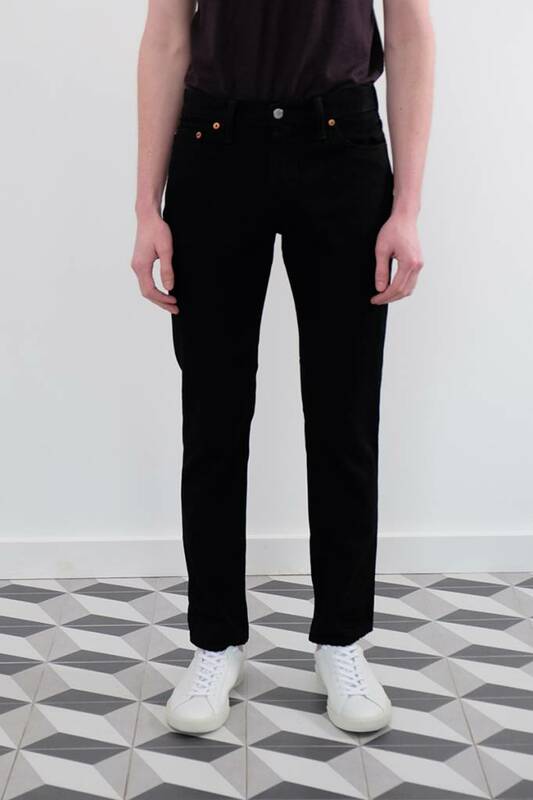 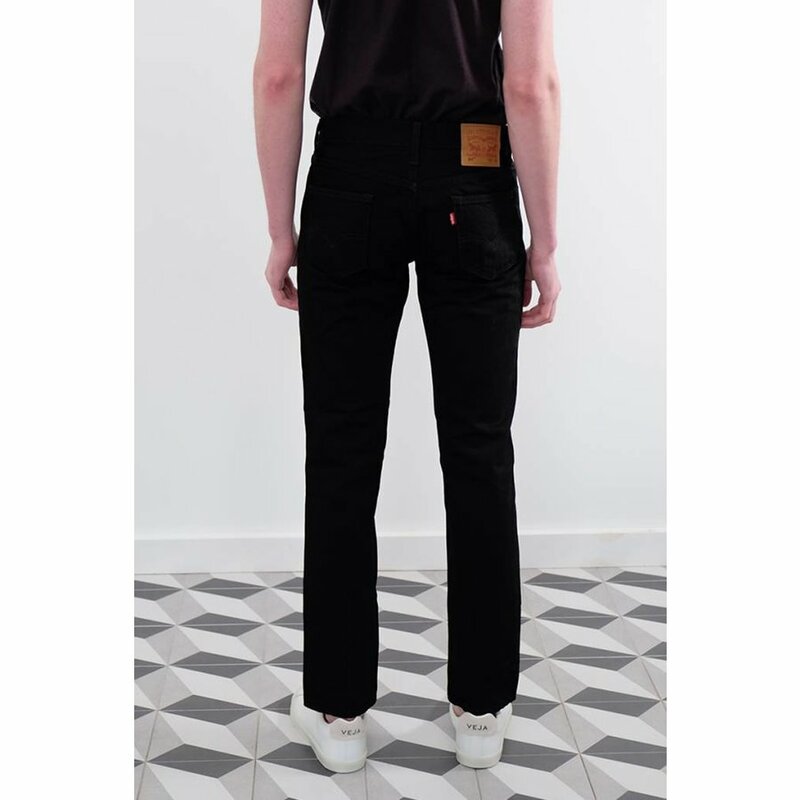 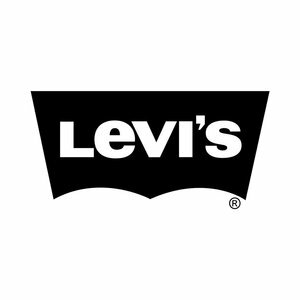 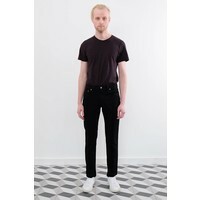 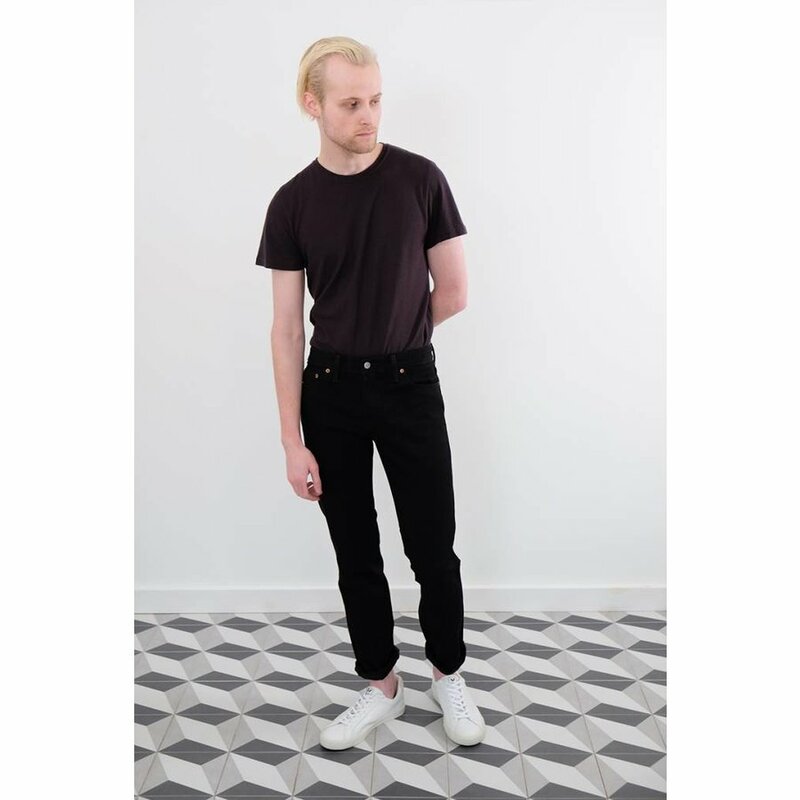 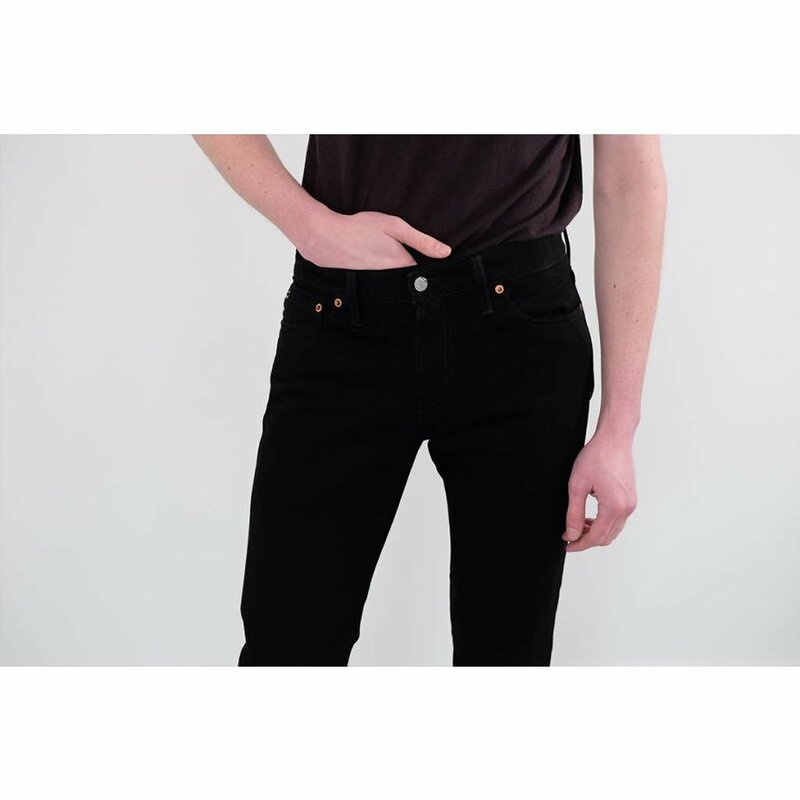 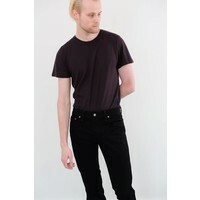 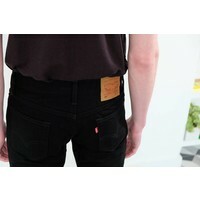 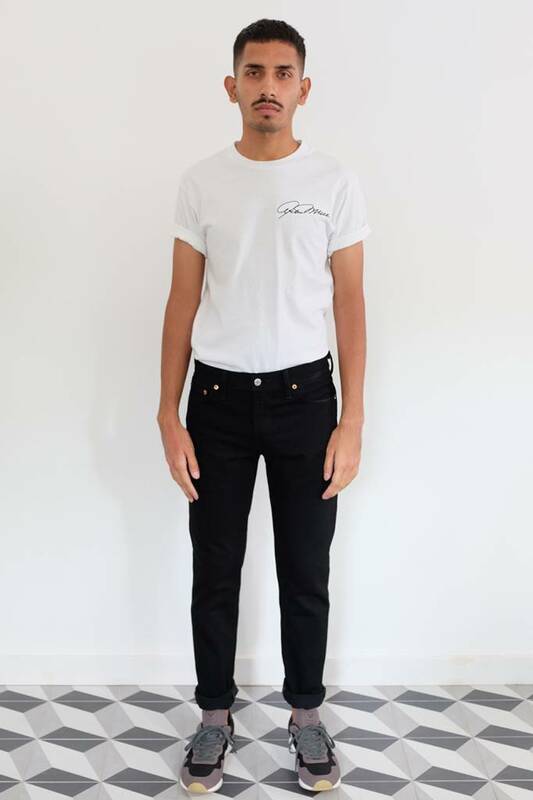 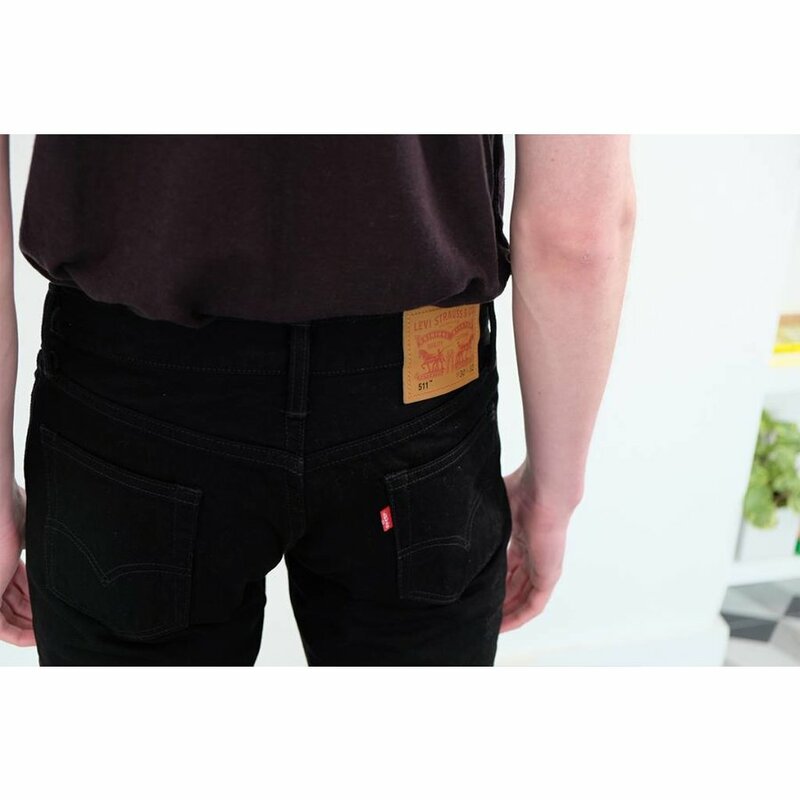 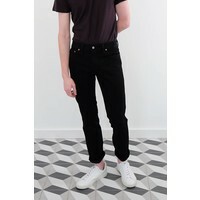 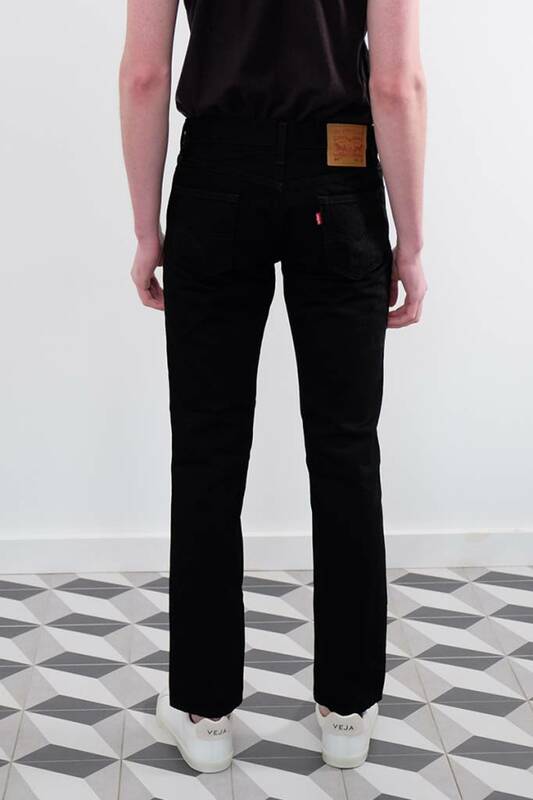 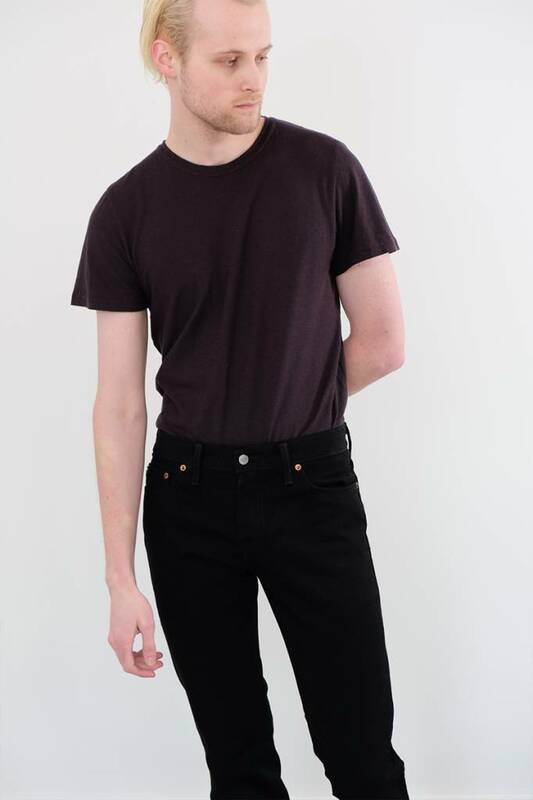 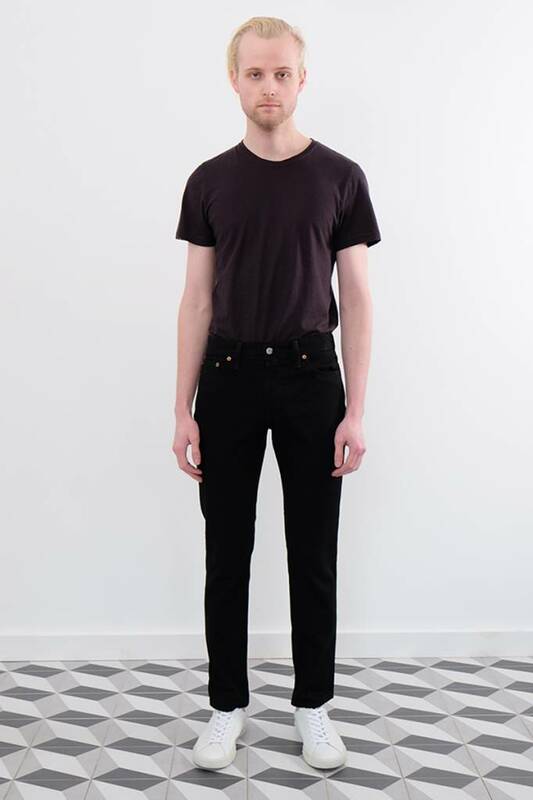 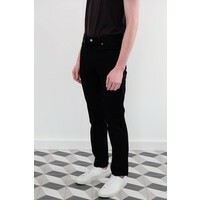 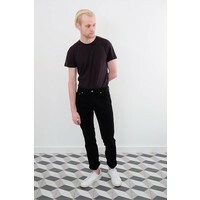 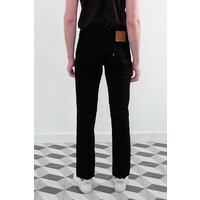 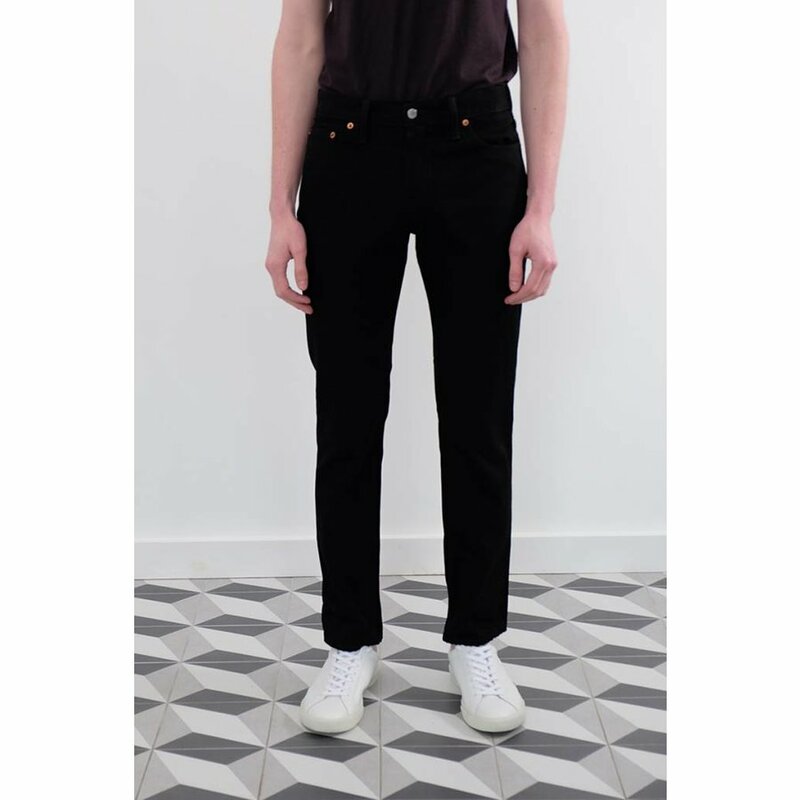 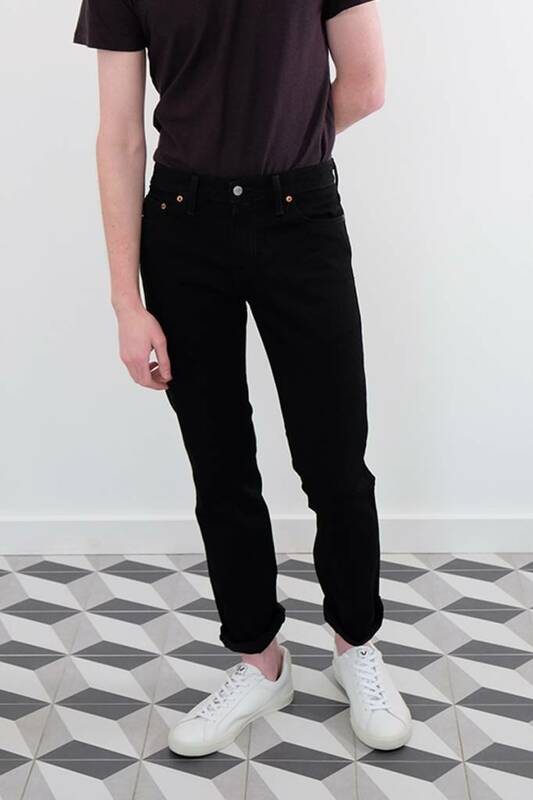 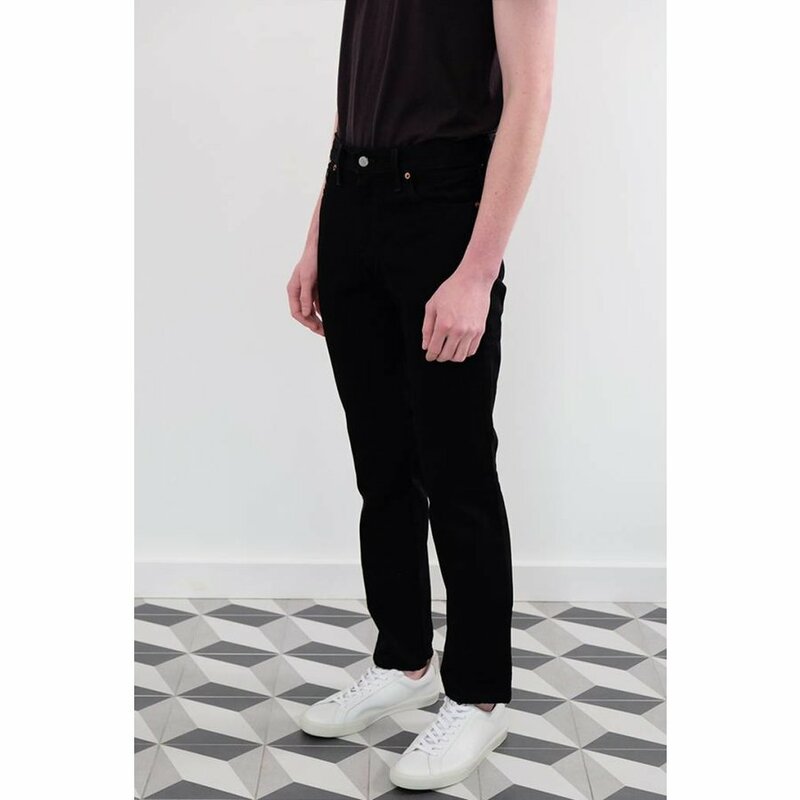 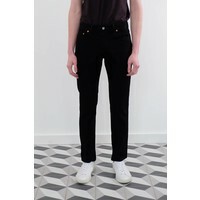 These jeans sit below the waist with a slim fit from hip to ankle and cut close to the body, without being skin tight. 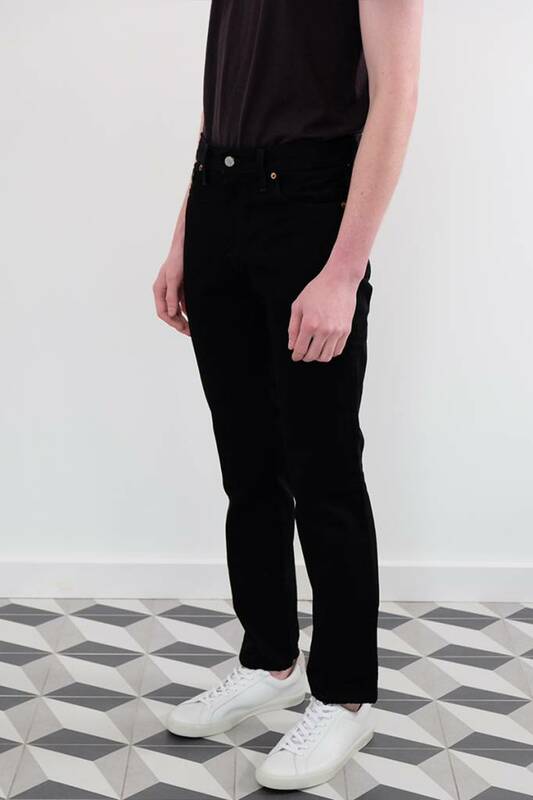 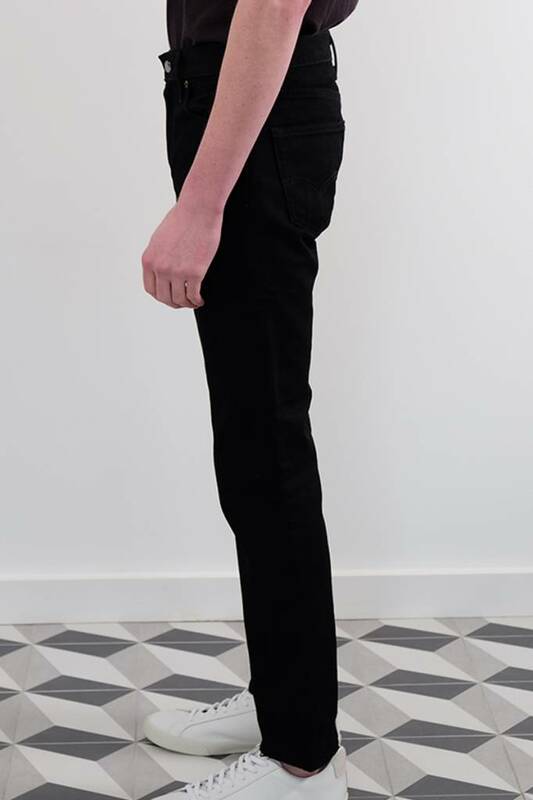 James normally wears a 31" waist and 34" length and is wearing a 30" x 32" here, for a slimmer, cropped look.